Introduction: With his juggernaut physique, six-syllable name and an accent in need of subtitles, Arnold Schwarzenegger was perhaps the most unlikely movie star to emerge from Hollywood in the ’80s. 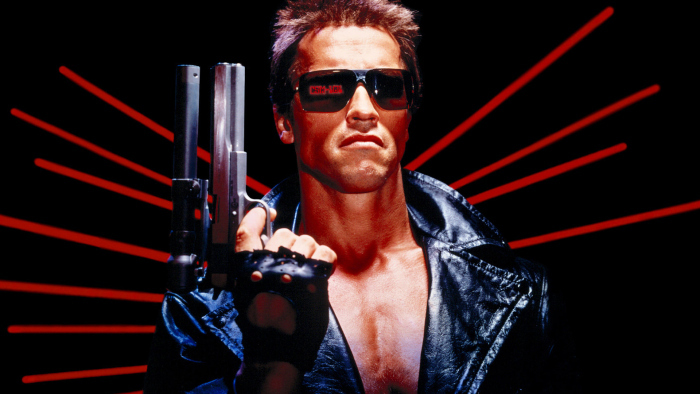 And yet that’s just what happened when “The Terminator” premiered on October 26, 1984. Although he appeared as the title character in “Conan the Barbarian” two years earlier, his frightening turn as an unstoppable cyborg assassin was the breakout role he’d been waiting for. On the 30th anniversary of James Cameron’s sci-fi action classic, here’s a look at Schwarzenegger’s ten best performances, as well as five that should have been terminated. By Matthew Chernov in Variety on October 25, 2014 .